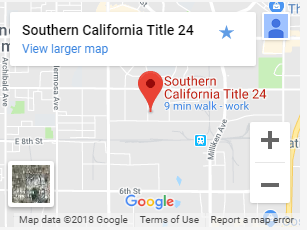 Fill out the New Construction Title 24 information below. You will fill out the form, upload plans, and pay via PayPal or credit card. The turnaround time for the report is approximately 3-5 business days, but can vary because the project will need to be submitted to Cal-Certs for approval, certification and watermark. Please be sure to read every questions carefully and answer them correctly otherwise the outcome of your report may change. Accepted file types: doc, docx, pdf, txt, gif, jpg, jpeg, png, zip. I agree that the information provided is accurate. The information will be used for the Title 24 Report. The energy saving water heating system. This is by the use of instant tankless gas water heater that works by only heating the water that is in demand at that point in time as opposed to heating a whole tank of water that eventually cools off when not used thereby losing a lot of energy. Tankless water heaters are a requirement for new construction. The energy saving lighting systems. This move aims to cut the energy lost by more than half of the current status. All light fixtures will be expected to be L.E.D. for less energy consumption as outlined in the Title 24 energy code. It also requires all bathrooms to have occupancy sensor to avoid wasted electricity when those rooms are not used. Climate-zone. Basically, this will mean that buildings are going to be built with specific regulations pertaining to the different climatic regions. All building walls and roofs will be insulated regardless of the climatic conditions. Specific climatic zones will also have added insulations. Solar energy. 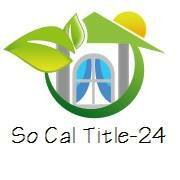 Title 24 aims at making all the upcoming homes and buildings purely solar-energy operated. This is in a bid to cut on electricity cost by a huge percentage and maximize on solar energy by virtue of being readily available through the sun. This is not only efficient; it is one of the main goals of Title 24; to reduce energy cost and all residential building to be net zero energy (NZE). These regulations are expected to be fully implemented and fully operational for all residential constructions by the year 2020.